You must make reservations at least 5 minutes in advance of the time at Taurinus Brazilian Steakhouse. Plentiful street parking is available for our customers. Taurinus Brazilian Steakhouse is proud to share the traditions, culture and food of southern Brazil. Rodizio is a popular Brazilian style barbecue, a continuous service of a wide variety of different cuts of beef, pork, lamb and chicken that is slowly cooked with special grills to preserve all their natural juices and flavors. You may enjoy as much as you like, all for one fixed price. Enjoy this gastronomical adventure called Rodizio along with the unique style and tradition of the Brazilian Gaucho. Fluffy and light Belgian Chocolate, a rich flavorful delight. A very popular dessert amongst Brazilians, made from fresh papaya and vanilla ice cream, topped with cassis liquor and cassis sorbet. A rich cream caramel custard or flan layer of soft caramel on top, made with eggs, vanilla, condensed and reg. milk. Quince fruits it is a delicious, tasty and soft where we made a outstanding mousse to be appreciated, Enjoy it. Home made vanilla bean custard with a glazed sugar coating. A sponge cake soaked in a mixture of three different kinds of milk, perfect dessert for a cup of coffee. Orange flavored butter crapes filled with dulce de leche a Brazilian homemade custard, served with a Scoop of vanilla ice cream and orange sauce. I really enjoyed this restaurant, it’s the second time we’ve been there. The service is very good, because the waitstaff is usually very attentive and friendly. The Rodízio servers came frequently and also asked us if there were preferences of what we’d like next, I really appreciated that. The prices is expensive for an everyday meal but it’s ok for every once and awhile. I wish this business had coupons sometimes, or a couples special like other Brazilian BBQ’s do. Make sure you try the cheese biscuits when they’re hot and try the Parmesan pork! I loved the filet, bacon wrapped chicken and the beef pierced with provolone. Thank you for taking the time to share your review! It's a delight to know how much you enjoy dining with us, and we look forward to having you back again soon. Meat and salad bar are both better than Fogo de Chao, hands down. Slightly hidden downtown spot but it’s close to all downtown hotels and entertainment like SAP Center, Center for the Performing Arts, City National Civic, Convention Center and Improv. I was really happy and my vegetarian wife was too. Thank you for joining us! We're thrilled you enjoyed such a memorable meal, and we look forward to sharing many more with you. If you like a great steak from bloody to well done, this is the place to go! Been a steak lover I always look for good new places to try or I always go back to same known places. This place is one the you will always go back over and over. Thank you for your review and recommendation! See you next time! Staff was very gracious and accommodating. The food was excellent (tritip and rubs were my favorite) I asked about a dietary restriction and received prompt help in assessing what foods to avoid. Great value for the price. Thank you for reviewing your visit! We're pleased to know you enjoyed such a memorable meal, and we look forward to many more. Came here last saturday with my mom and brother Didnt get a chance to taste all there meat , because they serve it very late as in we already finished eating. Reinier, we're sorry to hear that. Please join us again for a full taste of the Taurinus experience. All the meats were great and plentiful. The salid/ vegetable bar was not as full as I would have expected. Service was on the spot. Bbq beef ribs were awesome! We're glad you enjoyed them! Thanks for your review, and please join us again soon. As good as any other brazilian steakhouse we've been to. Extremely friendly staff. Every type of meat we sampled was delicious. Chalon, thank you for your 5-star rating! Please join us again soon. A nice place with excellent meats and a well stocked, fresh salad bar. But the entry level price is $65 per person plus beverages and $8.50 desserts. All meat, bread and salad bar are all-you-can-eat. If the price range set correctly on Open Tableb then at least you wouldn't be surprised: however that range is calculated (set at $35-50?) the minimum price of any meat dinner is $65 person, for two with 1 glass of wine each, tax, tip got us to $185. Have eaten there a few times but at these prices and less than 1/2 full Saturday, go if you find a discount (not just points) promotion. Mark, thanks for sharing some feedback about your visit! Your comments are noted and appreciated, and we hope for the chance to serve you and yours again soon. The 8 of us had a great meat meal. So much delicious food! Informed waiter I would like well-done meat. I was prepared to wait, as this usually requires additional preparation at other Brazilian steakhouses. I was presented with what amounted to a small plate of cold cuts, which where served cold, at best medium, and not enough to feed a mildly peckish pigeon. I complained to the manager, who seemed unconcerned. Effectively I was charged $40 for maybe $2 worth of food. Don't waste your time here. Go to Fogo do Chao or other nearby establishments where you actually get something for your money. Thank you for visiting, and we certainly apologize you weren’t provided with enough well-done meat. We appreciate you bringing your concerns to our attention, and hope you’ll decide to join us again for a much better experience. The food and service were outstanding. I would recommend Taurinus to any wishing to experience a Brazilian steak house. Thank you for dining with us, Dean! We are happy to hear that you enjoyed your visit and we hope to see you again soon. Normally my family and I love eating here, but we made the mistake of coming on a busy Valentine's Day and we're disappointed. Thank you for being frequent guests. We do apologize for Valentine's Day visit left anything to be desired, and appreciate you sharing your valuable feedback. The atmosphere was too dark and too loud. The manager was great. Unfortunately the restrooms were out of order, so not a good experience when you have had several drinks. In comparison to other Brazilian Steakhouses the cost and food was comparable. Tricia, thank you for your review. We look forward to making your next visit a 5-star occasion. In my opinion the best churrascaria in San Jose and one of the best in the Bay Area. Taurinus has an excellent buffet and salad bar which makes all the difference. Waiters know how to cut and serve the meat in authentic Brazilian Style. Thank you for the great review, Paulo! We do the best we can to provide every guest with a unique and special experience and we are glad we could do that for you. We hope you return soon. Everything was delicious, I just wished they had more seafood selections. Grilled shrimp or bacon wrapped scallops would round out the whole meal! 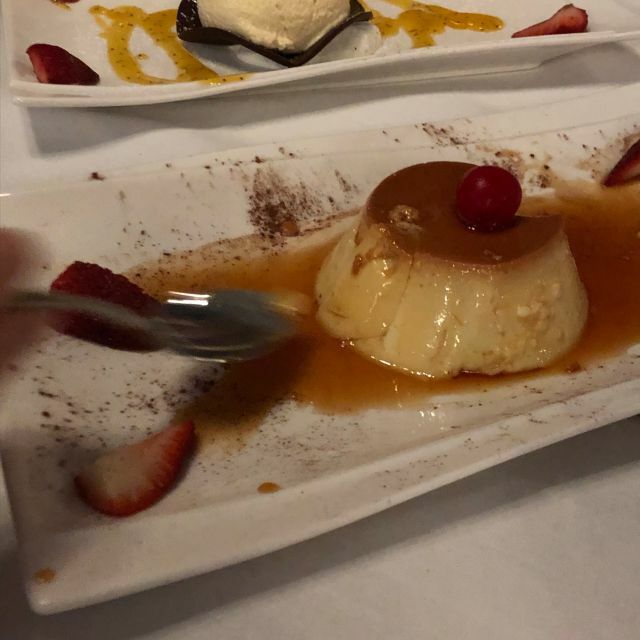 We are happy to hear you enjoyed your meal! Thank you for your suggestion and we will see what we can do to make that happen. This is my second time dining at Taurinus and we had a great time! We didn't eat as much meat, as I usually do, what we did eat was absolutely delicious! I'll definitely return! Tom, thanks for joining us again! We appreciate the great review, and look forward to seeing you for a third time! It is always a plesure to come here, the food and service are amazing! Thank you for being a frequent guest! See you next time! The restaurant promise an experience it doesn't fulfill. The meat is done badly, except for one or two type of meet, and it's overpriced. Way over priced. We are very sorry to hear we did not fulfill our promise. Your feedback is always appreciated and we will do our best to resolve it. If your a meat lover this is the spot... Great meat selections and flavor..pay a set price and grub. I reccomend you come here hungry. Great salad bar , wine list. Good atmosphere and professional , kind , servers. Thank you for this awesome review, William! We hope that you left fully satisfied after enjoying our selections. Hopefully this means you'll be back again soon. Leah, we're sorry you weren't pleased with your visit, but hope you'll decide to give us another try in the future. Unfortunately, the food did not quite meet the standard we have grown accustomed to at this restaurant and other Brazilian restaurants. Overall, the food was great, but there were a few cuts of meat, and even pineapple, that were not cooked or prepared appropriately. The service was great and the ambiance was great (actually a bit more quiet than we're used to). We are very sorry to see your review. We are always looking to improve anywhere we can and we appreciate the honesty on some of our menu items. We hope you will give us another chance to provide you with the 5-star experience we strive for. We're thrilled you had such a great time! Thanks for taking the time to share your review. Everything was excellent. Already planning our next visit! That's great to hear, Linda! We're looking forward to seeing you back! The food was very good but it wasn’t amazing. Service was great. Food came early and often. I would definitely go back. We enjoyed our dinner. Hi Mark, thank you for the awesome review! So glad that you enjoyed your meal with us. We'd love to serve you again, and we look forward to seeing you back. This is the Brazilian steakhouse any person who enjoys food--especially grilled meats!-- will enjoy. The salad bar is excellent--well-maintained and fresh. The atmosphere can be a bit loud, but not enough to discourage table conversation. The room has character and includes a full bar. Staff is very attentive to any patron's needs and they are constantly on the move. 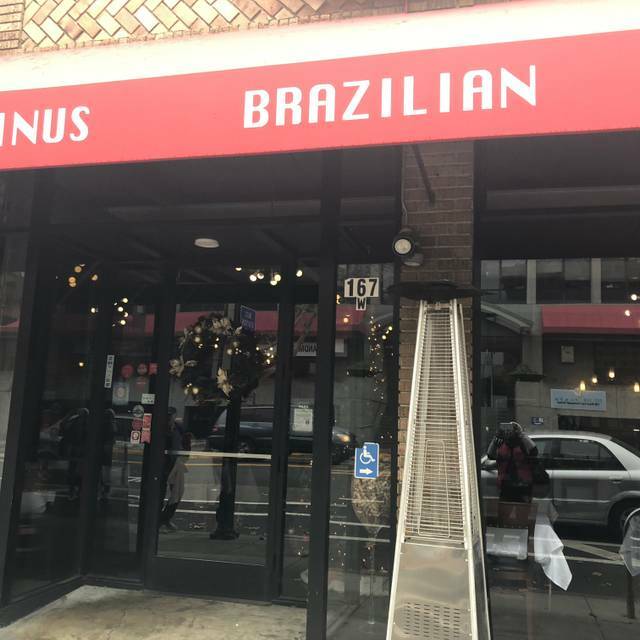 Please try this restaurant as opposed to another in Santana Row--Taurinus does it correctly and, if you are going to pay for the experience and good food, is the logical choice. Thank you for taking the time to share your 5-stars with us! We are happy to hear how much you enjoyed our salad bar and atmosphere. Thank you for recommending us to others and we hope to see you again soon. Like always, the service and the food were great!!! Thank you very much! Our customers deserve only the best. Brazilian Steakhouses depend on the quality and variety of side dishes (self-serving bar) and the quality of the meat grilling with the right spices. Taurinus is taking the top spot in my opinion and makes leaps and bounds over the "popular" chain. The meat was perfectly seasoned (and not just salty), the smoke from the wood fire was distinct but not overpowering. The bacon wrapped chicken and filet mignon were very distinctly noticeable by the great flavors coming from this great beacon. (I can still taste it). The Salad Bar and Side Bar was very fresh with very good products and the home-made blue cheese and Thousand Island dressings had very good flavor and the slight spice in the Thousand Island was a very good addition. Would we go again??? Are you kidding? Absolutely, and the service despite New Years even was outstanding. Codos to the owner, who still made the rounds to the tables. Thank you for taking the time to review your visit! We're thrilled to know you had such a wonderful time with us, and we hope for the chance to serve you again soon. The food was great, service exceptional. Good variety of food and drinks. Thanks for the five stars, Pedro! Food was well prepared and servers came by quickly with large variety of beef, lamb and chicken. Salad bar adequate with seafood selections as well. Recommend the white wine Sangria. Plan on about $100 a plate with drinks and tip, so just a bit pricy for the ambiance and neighborhood. Staff very helpful and attentive. Robert, thank you for joining us at Taurinus! Your feedback is truly appreciated, and we look forward to seeing you in again soon. Met a friend for a pre-holiday lunch, and was surprised at the bill ($55 per person). There was no signage or menus offered to indicate the prices would be significantly higher than lunch prices posted online. Only an asterisk that prices may be different during holidays. Thank you for your review, and we do apologize for any confusion. Prices can be higher during holidays, and we do recommend our guests call ahead for clarification. It was my first time eating at a Brazilian steakhouse and I loved it. Food was really good and service was very respectful and prompt. Only downside to me was the price so eating here isn’t going to be a regular thing, but I’m happy I was able to eat the food. Thank you for dining with us, Ryan! We are thrilled to hear how much you enjoyed your experience with us. It would be our pleasure to serve you again, and we hope to see you again in the future. Hello, we're truly sorry that we didn't wow you with our meat selection. Your insight is very valuable to us, and we will be sure to relay your comments and make any corrections. We do hope that you will give us another chance to earn the five stars that we strive for. I have been to several Brazilian Steak houses in the past years. Taurinus was a "fair" experience. Overall, the ambiance and feel of the restaurant was rather cramped and disorganized. It wasn't what I had expected. The food quality was just ok. I took my family and parents out for a pre-christmas dinner. The cold bar was limited and seemed like a selection of foods they could easily prepare with little thought to quality and synergy. The meat selection was ok. Our favorite was the sirloin followed by the filet. The chicken dishes were ok and the pork was a distant third. (Parmesan rolled pork, literally pork loin rolled in Parmesan dust... yeah it tasted just as it sounds.... dusty and dry) Their were 2 beef dishes that really were of poor quality. the beef ribs, while meat, were so oily and bland, I couldn't eat it. The second was the flank steak; good flavor but really tough. On a positive note; the wine selection is decent and the sirloin and filet helped make the evening not a total waste. $600 for 6 people for a "fair" evening. I'd not recommend. We're very sorry to hear that you did not fully enjoy your pre-Christmas dinner with us. We never like to see our customers disappointed, and we appreciate your feedback on some of our dishes. We have noted your comments and will continue to work to improve for all of our guests. We'd love the chance to serve you and your family again and deliver the five-star experience that you deserve. While it wasn't inexpensive, the quality of the meat was great. The servers walking around with the various selections were ever present so you weren't stuck wondering when you would get a refill. The options on the salad bar and hot table were also good. Fun place, I'll go back. Staci, thank you for reviewing your visit! We're thrilled you enjoyed your first meal with us, and we look forward to many more. The meat options at lunch are seriously cut back. The dinner options are much better. Also no Parmesan cheese wheel available at lunch. Thank you for visiting. Yes, there are 7-9 cuts of meat available at lunch, while all cuts are available during dinner hours. My husband and I come to this Restaurant quite often when we are celebrating something.....On this night it was jammed packed and bust which was fine. The Hostess told us that they were running behind even though we had reservations...we waited patiently and the hostess called us and pointed to the table they had for us. We started to walk over to the table when the manager, I'm assuming, gave the table to two men that didnt have reservations and were waiting less than us (mind you we were 30mins past our reservation time). I was frustrated but the hostess scurried to make a table for us. I could tell that she was frantic and she was so apologetic. Everything else was great..
Just a little hiccup. Before leaving we told the hostess that we appreciated her hardwork! Thank you for being frequent guests. We do apologize for the wait and inconvenience, and look forward to seeing the two of you in again soon. 1st they said they couldn’t seat us because they were booked. We went on open table and made a reservation for 15 mins later. That’s fine understand reservations and booking. The bigger problem was the food. The lamb was too tough to eat. The ribs were so charred on the outside I felt like I was trying to eat the grill. Their best meat was the chicken. There is definitely a problem when a steakhouses best meat is chicken. I’ve eaten at many Brazilian Steakhouses- the meat just wasn’t good. Certianly not worth $50 a plate. The cold salad bar had a nice variety but nothing to write home about. There servers was amazing- we had a constant stream of attention and more meat than we could consume but again, not meat I would want. I would not go again or send anyone I know there. Heather, we’re sorry to hear you weren’t pleased with your visit. This certainly isn’t the impression we’d like to have made, and we hope you’ll decide to join us again to get a true taste of Taurinus. Over all the of experience from this restaurant is pretty good. Just some meats are little bit dry. The services was excellent. We love it and will come back again for lunch. Thank you for taking the time to share your honest words with us! The observations from our guests are integral to our growth and we view your review as an opportunity for improvement. The fact that you mentioned you will be back means the world to us and we look forward to seeing you then!